Autumn is almost over down here. At Victoria park, the cricket pitches have well and truly gone and the rugby posts have gone in. 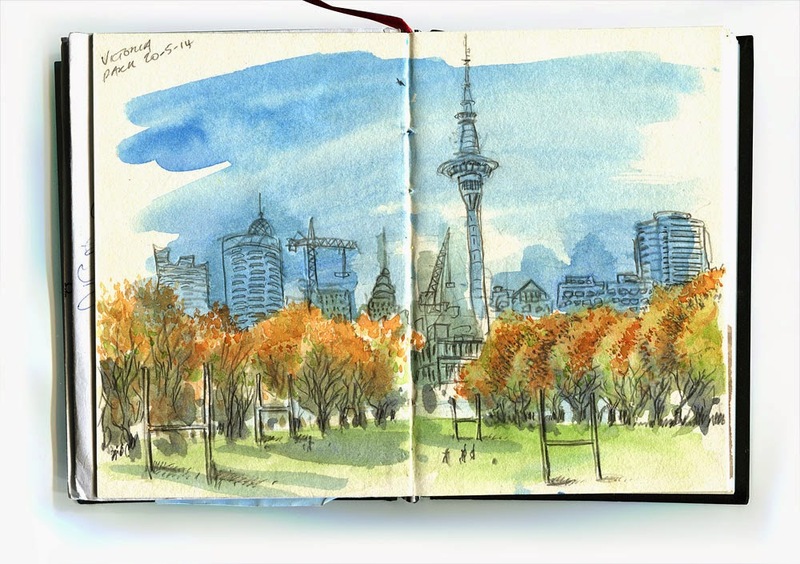 Autumn hits some parts of Auckland harder than others with most streets lined with evergreen native trees, but others like Victoria Park and Franklin Road are lined with enormous deciduous Plane Trees so when the temperature drops, so do millions of leaves leaving a crunchy rusty golden carpet over everything. It's already snowing in the South Island and in a few days winter will officially be here.